In most countries in Europe, PVC windows have meanwhile reached high level of market penetration. 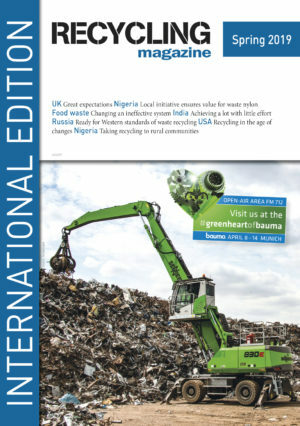 They are impressive, with perfect design, universal adaptation to styling requirements, they are easy to maintain and – what is especially important – they can be 100% recycled. Window profile with inserted rubber seals and co-extruded plasticized PVC seal lips. Use life reaches at least 40 years, which means less use of resources and a lower C02 emission burden. In theory, a cycle of window use and recovery can be repeated seven times without negative effects to raw materials or processing quality. It is not only surplus production material and profile off-cuts arising from window production that are recycled here, but meanwhile also old windows, worn-out doors, roller shutter slats, etc. According to the Rewindo.de association jointly established by PVC window producers to encourage PVC window recycling, a recycling rate of 89 percent is achieved with old windows, corresponding to 101,000 tonnes of recovered PVC granulate. Within this amount, 73,645 tonnes is accounted for by production waste and 27,328 tonnes by recycling of old windows. PVC window profiles are produced out of particularly high-grade PVC. A long-life, high-grade plastic with optimum use properties is obtained through use of additives such as UV stabilisers, pigments, fillers, etc. The advantage of such PVC compounds is their universal recycling capability. This means that profile off-cuts and of course also old windows can be recycled at any number of times and ideally find application again in new windows. Steel profiles fitted inside PVC profiles stabilise complete windows. This “mechanical” system acts as a solution to enable windows to be reliably opened, closed, tilted and rotated. Sealing lips laid into or co-extruded onto the profile serve to seal the wings and frames, as well as glass panes (Photo 1). 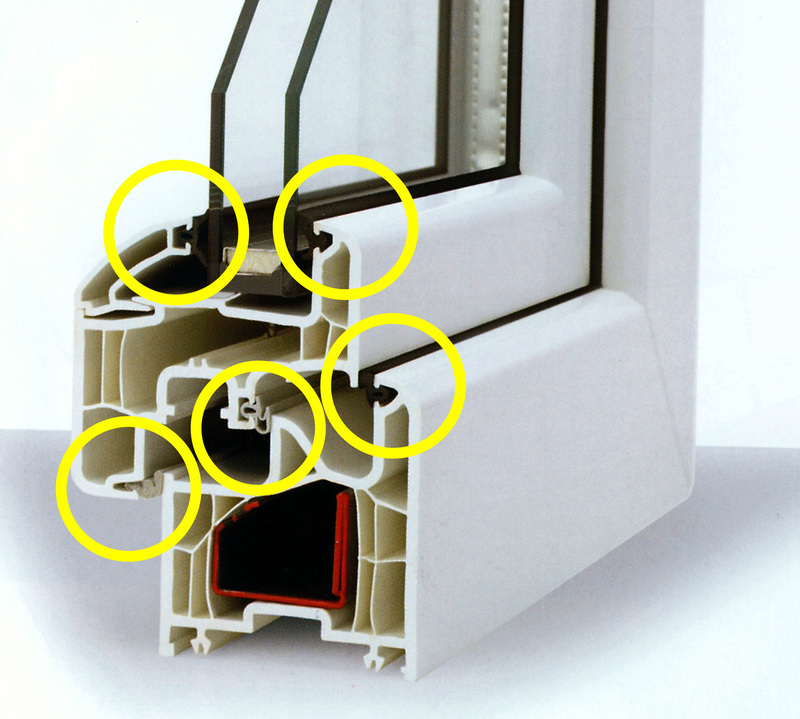 Aside from rubber and plasticized PVC, other plastics are also used for seals in modern windows. Especially with sliding windows, there are so-called sealing brushes in polypropylene. Small wheels and fittings in nylon are also increasingly found. Silicone sealants from joint seals can additionally be found in old windows, and various other plastics that are used for assembly and adjustment of windows when they are installed in buildings. New high tech profiles arise from recycled plastic windows, as pure PVC recyclate is also used for profile cores, the outer cover layer consisting then of virgin PVC. This saves resources and preserves the environment. Window profiles with recyclate cores are a practical proof of operating a circular economy. They differ from profiles in virgin material only to some extent in colour, but have 100% the same quality, i.e. such PVC profiles easily fulfil the high quality standards required for plastic windows, naturally also in terms of thermal and acoustic insulation. In order to be able to re-process PVC from window profiles, profile off-cuts or old windows, it is essential to entirely remove all materials that do not consist of PVC prior to processing. Shredded window regrind before and after electrostatic rubber separation. The influence of foreign materials such as wood, metal, glass, etc. in PVC granulate is obvious. It results in damage to extruders, tools and in the final product. Although these materials can mostly be easily separated out with established separating technologies (magnetic separation, vibrating table separation, etc. ), separation of plasticized PVC seals and especially rubber seals is not so easy. Plasticized PVC can clearly be easily mixed with rigid PVC. But the problem then arises however that the colour of the granulate changes considerably after extrusion. Especially with glazing retention strips, i.e. with a large proportion of coloured (black) profiles, the final product becomes increasingly grey and therefore more unattractive. It is even more problematic if rubber seal materials are present in regrind. Rubber seal material does not melt in extruders and does not bond with PVC. When a profile is extruded with such a granulate that contains rubber contamination, “pimples” appear on the surface and profile channels become closed in the extrusion tool, etc. Particularly in new window designs, in which multi-chamber profiles are used for enhanced stability and especially on account of higher thermal insulation, the chamber bridges used here are only several tenths of a millimetre thick, so that already a single small piece of rubber that gets “caught up” in a tool for such a profile can lead to several metres of waste profile before such damage is discovered. Rubber can be separated to some extent by melt filtration in the extruder, but only if the rubber level is not too high. This also applies of course to other contaminants such as wood and metal, or other plastics with higher melting points than PVC. It is sought with manual sorting in particular to “draw out” rubber seals from profiles and profile offcuts. This is a very laborious undertaking, above all because the rubber seals in modern window profiles are tightly inserted into the profile recesses, practically free of any play. Despite use of pliers or other tools, a single sorting operator cannot sort out more than 60 – 100 kg per hour of seals from such profiles. Co-extruded seals are those that cannot be separated out at all by purely mechanical means. There are clearly companies that simply saw off these plasticized PVC seal lips and obtain a rigid PVC without plasticized PVC contamination, but the cost of doing this is not justified when paying “Central European” wage rates. The sorting costs arising just for rubber separation with this way of recycling windows amount to up to 200.00 EURO per tonne – a particularly high cost factor in recycling. For this reason it is sought to achieve cost advantages through fully automatically working processes to separate off foreign material. Ferrous metals can be easily separated off with magnets over conveyor belts or magnetic top rollers. Even finest iron dust down to 25 µm is no problem for high performance magnets. Course non-ferrous metals in the form of aluminium parts and window fittings, etc. can be separated effectively with eddy current separators. Separation of small aluminium or stainless steel particles from regrind is problematic however. Electrostatic KWS corona roll separators from hamos GmbH offer the solution here. Practically the entire metal fraction is separated in a dry way in this equipment. Even metal particles < 500 µm are easily separated. High performance equipment works here with a number of stages, with throughput rates of 500 up to 2,500 kg/h, low energy consumption and practically fully automatically without any operating staff (Photo 2). Furthermore, other conductive contamination such as e.g. wood when processing old windows, are equally well sorted out from the PVC stream with the hamos KWS corona roll separator. In separation of rubber from rigid PVC, the task is to separate out an undesired foreign material (rubber) from the good material. It has to be taken into account here that both materials need to have the same specific weight and in some situations also even the same colour, bearing in mind that white rubber seals or coloured seals are now increasingly used in coloured profiles. Mechanical separation processes do not largely come into consideration here, as they cannot guarantee the required purity and needed output rate, even when equipment runs at high throughput rates. Separation with the electrostatic technology of hamos EKS equipment is then the solution. For separation of “rubber” and “plasticized PVC” from rigid PVC, the different electrostatic charging behaviour of the two non-conductive materials is used. These two non-conductive materials – rubber und PVC – are brought into intensive contact with each other in special charging equipment. By means of charge transfer between the materials, the PVC takes on a negative charge, the rubber a positive one. The two types of materials in this charged mixture of products can then separated from each other by a separation unit integrated within the EKS equipment. An electrode system is supplied for this purpose with high voltage. Special arrangement of the electrodes ensures that other plastics, wood and other contaminants are all separated out together with the rubber and plasticized PVC. It is possible in practical operation to separate out, for example, the entire contamination from a mixture consisting of 90 % rigid PVC and 10 % rubber/plasticized PVC. PVC purities of over 99.5% are obtained then in only one pass. Throughputs of min. 1,000 kg/h are possible here with standard hamos EKS equipment. Two or more pieces of equipment are set up in parallel operation for higher performance. The quality of recyclate can be raised further with use of hamos SEA optical sorting equipment. Optoelectronic colour sorting equipment is then programmed so that the “white” regrind falls out of the line, while “coloured” materials (to which rubber particles also belong) are blown out with a short impulsive blast of air. Aside from coloured rubber seal material, coloured rigid PVC is also separated out. Due to the fact that the materials are simultaneously controlled optically from two sides, PVC parts that have been decorated on one side with decorative foil can also be easily separated. After optical sorting, on one hand, highly concentrated waste streams result, on the other, maximum PVC yield, as only minimum PVC losses are incurred. The purity of the white material almost corresponds to that of virgin material, so that this product can be easily used in production of new windows. Rigid PVC is a valuable raw material, on account of the high proportion of additives and pigments that it contains. For this reason, and also naturally on account of excellent re-use capability, PVC window regrind is very much sought after as recycling material. Should this PVC regrind be used again in window profile production, the regrind has however to be free from rubber and other types of contamination, as renewed use is otherwise simply not possible. 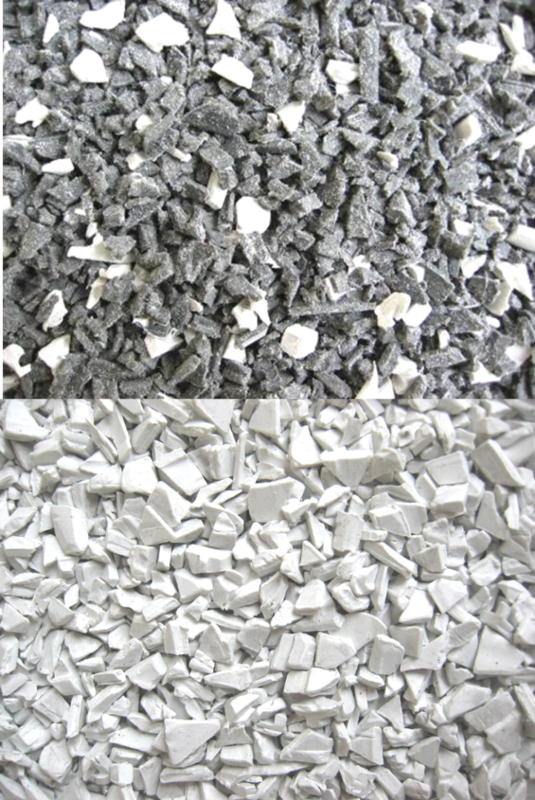 Due to the high performance capability of electrostatic and opto-electronic sorting equipment, almost 100% clean PVC regrind is produced, with minimum separations costs. The separation processes requite little energy, work practically entirely automatically and are therefore particularly efficient. In order to further extend its recycling activities and to make a further important contribution to the environment, the polymer specialist REHAU has expanded its Polish plant in Srem by installing a modern recycling line with capacity of around 10,000 tonnes per year. 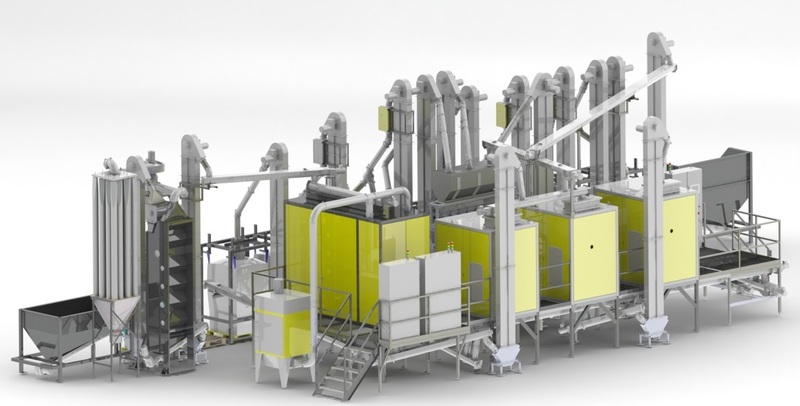 The core feature is a hamos sorting line, which separates raw material into pure individual material fractions and ensures highest quality for further processing. Jörg Ipfling, Project Manager Recycling Technology Window Solutions at Rehau, says: “We are very satisfied with the standard that hamos GmbH has achieved. It was previously not possible to sort PVC from profile off-cuts and surplus production material fully automatically to this high standard in quality and purity. This development has helped us to completely close the material loop. A new standard at a world-class level was born”. Mr. Bodo Streubel, Plant Manager of Dekura Bad Schmiedeberg, says: “After 17 years of operation, our experience with hamos WRS window recycling facility is very positive. The plant has helped us to achieve our targets by guaranteeing the highest quality required for the PVC and thus increasing the overall performance of our process. Poly-Wood, based in Syracuse, IN/USA, a manufacturer of outdoor furniture made from recycled HDPE, is now also a highly efficient plastics recycler. At its production centre, Poly-Wood operates one of the most modern recycling plants for HDPE with systems from Lindner washTech. The "Final Consortium Meeting" of the Polymark project was held at Sesotec on 7th and 8th February 2017. Polymark was a three-year research project funded by the European Commission that focused on a new technology for the identification and sorting of plastics, particularly PET.